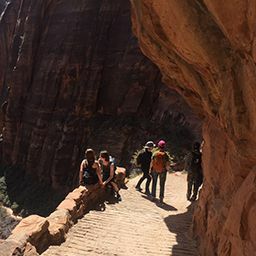 The sophomores are sad to say that today is our last day here at Zion National Park. We all had an incredibly fun time here and accomplished many things. 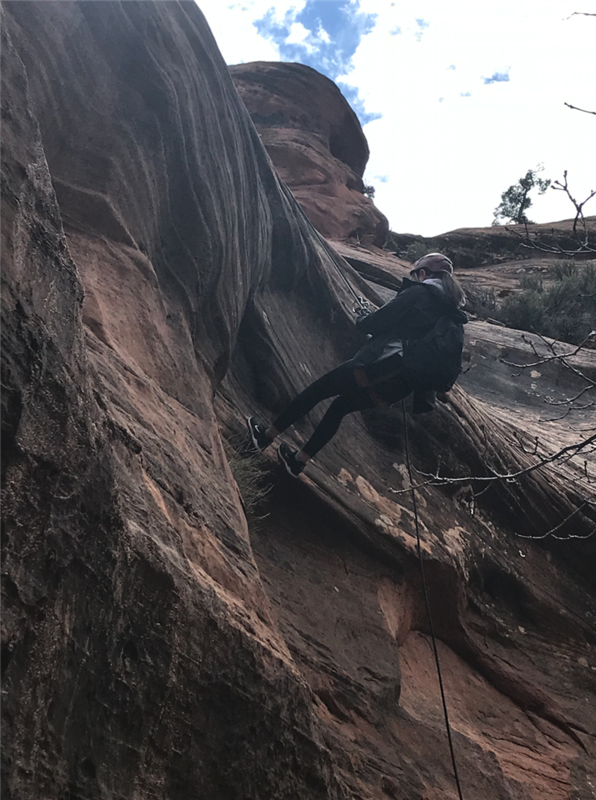 Yesterday, when I went canyoneering, which is rappelling down mountains, many of us were nervous, but one thing that really stood out to me from that experience was all the support people were giving each other. Regardless of how close someone was with another person, everyone would encourage each other and cheer them on as they repelled down. It created a safe environment for people to enjoy themselves and have a good time. The theme of this journey is to “take off our masks”, meaning, to show our true authentic selves. I feel that by the end of this journey, we have all gotten closer together as a grade and have made new or closer bonds with one another. Another time I especially felt this, was last night when we had a campfire and all sang songs around the fire while roasting marshmallows. One thing I will never forget from this beautiful place, is all the scenery around me. Wherever you look, you see gorgeous mountains and trees. As a way to end our journey, today we all went by a river and sat in silence looking at the nature around us, listening to the sound of the river. Once that was done, we got in a circle and talked about what we enjoyed from this journey. Now, we all are on the bus getting ready for the three our bus ride to Las Vegas to get on a plane and head home. I speak on behalf of all of the sophomores when I say a huge thank you to all the teachers who helped make this journey possible! We all had an incredible time and it’s a journey none of us will forget!